So, as usual, I am procrastinating. Here I am, sat in the library, trying to interpret the iconography of Hieronymus Bosch’s so-called Garden of Earthly Delights Triptych. It’s rather intricate. It’s filled to the brim with symbolism. But this morning, I noticed that BBC Scottish Symphony Orchestra and Donald Runnicles are doing Alban Berg’s Wozzeck in a concert performance on 23rd October in Glasgow City Halls. Alas, they’re not repeating it in Edinburgh, but it provides me with a convenient excuse to present it to you this week. Here is a complete version of the opera on YouTube. Do you not like Berg? He is the proof that the Second Viennese School with their twelve-tone technique isn’t necessarily cerebral. Berg’s music is very Romantic, like Mahler; he just happens to be using the language of atonality. So don’t be scared, his Violin Concerto, intensely lyrical (when he quotes the chorale ‘Es ist genug’, harmonised by Bach, you can’t help but go ahh) and inspired by the death of Manon Gropius, the daughter of Alma Mahler and Walter Gropius, is a good place to start. So is his Lyric Suite, with a secret dedication to Hanna Fuchs-Robettin, with whom he had an affair. These pieces are so expressive and beautiful. Berg was an unpromising adolescence, moulded into a substantial force by his teacher Arnold Schoenberg. However, Schoenberg did also dismiss Berg’s finest early works as worthless, and used him as an acting valet. Subjugated to Schoenberg’s will, there are gleams of hidden resentments within Berg’s adoration. Many artists embraced the Great War at first, seeing it as a purifying, cleansing ritual, a baptism. 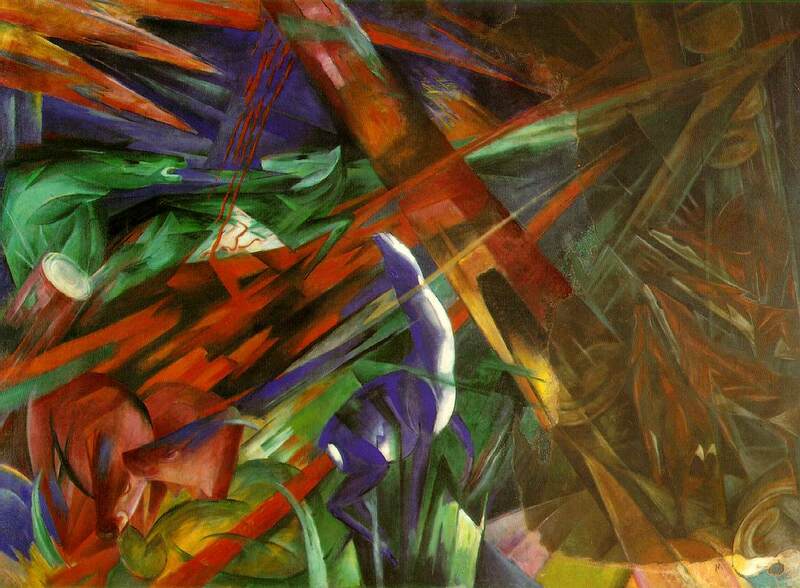 The theme of apocalypse and regression is one that you also see in the visual arts, in Italian Futurism. It was also mirrored to an uncomfortable degree in the recent German Expressionism. (Hello Franz Marc.) Thomas Mann, Schoenberg, they all saw hope in the war, and Berg succumbed to this hysteria at first too. (Richard Strauss is a notable exception from falling victim to ‘war psychosis’. However, next time Germany went to war, Strauss would switch roles with Mann.) After spending a month in a training camp in 1915, Berg suffered a physical breakdown, and had to be hospitalised. For the remainder of the fighting, he was confined to a desk job, made miserable by a ghastly superior. Here, Berg made further progress on the sketches of an opera based on Georg Büchner’s play Woyzeck that would put the war in a different light. Büchner died in 1837, aged 23. A completely original literary talent, Woyzeck (Left incomplete at Büchner’s death, Berg changed the y to z for ease of pronunciation) was based on the true story of a soldier turned barber (Sweeney Todd…) who had murdered his mistress in Leipzig in 1821. Despite obvious signs of mental instability, the distinguished Hofrat Dr Clarus (Felix Mendelssohn’s doctor) declared Woyzeck competent to stand trial. Büchner used transcripts of Woyzeck’s psychological examinations as source material for the play. No writer had ever given such a matter-of-fact report on the murderer’s mind. In the play, Woyzeck is still a soldier at the beginning, and military discipline speeds up his mental deterioration. Subject to the whims of a fussy, pedantic captain, prey to a sadistically experimenting doctor and mocked by callous fellow soldiers and tradespeople, the boundary between the real and the fantasy gradually blur in Woyzeck’s mind. 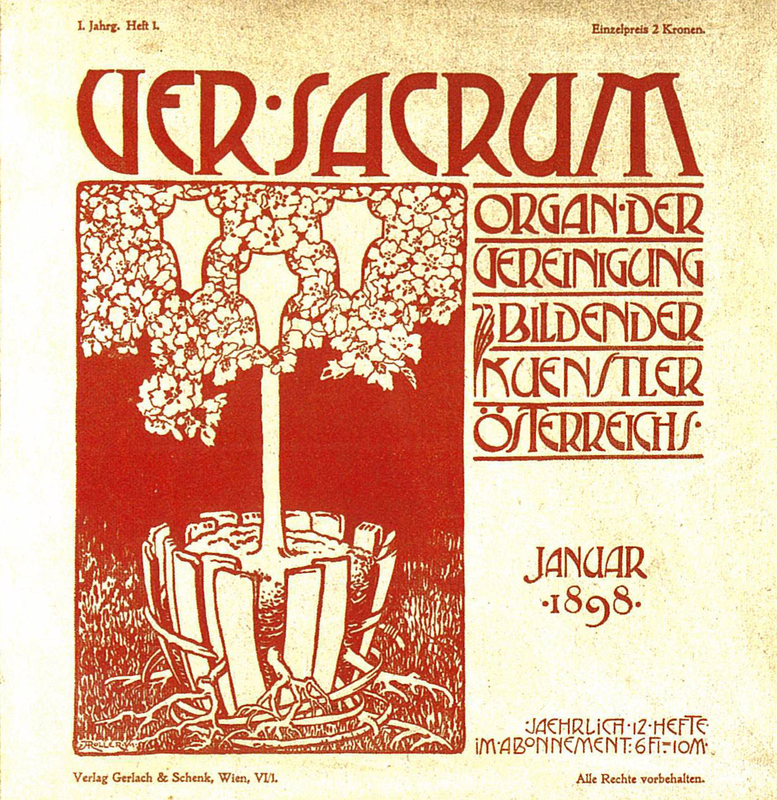 Upon first seeing the play in 1914, Berg expressed immediate desire to adapt it into an opera. He also identified himself with the character through his military experiences. (All too well he knew real-life versions of characters that humiliate Woyzeck/Berg.) Just like Debussy with Pelléas or Strauss with Salome (In fact, both used as structural models for Wozzeck), Berg set Büchner’s play ‘raw’, moulding the text himself than employing a librettist. The project went ahead despite Schoenberg’s disapproval, with Berg going as far as to conceal his labours from his former teacher. In Wozzeck, tonality will not be denied, a Freudian ‘return of the repressed’. Latent tonalities are underneath the surface, just like Turner and Monet’s paintings, where familiar forms are buried under layers of impasto paint. These come to the surface in the third scene, as Marie, Wozzeck’s common-law wife, enters. Something more than a fin-de-siècle cartoon of instinctual Woman, she stereotypically lusts for the muscular Drum Major, but she is an independent, fully formed character, who balances her sexual desires with strong religious feeling, and loves her child. Marie’s lullaby to her son is unabashedly Romantic, richly if eccentrically tonal. Beginning with a familiar sound that is the five-note Salome chord already quoted in his Altenberg songs, it is also intimately related to Wozzeck’s more dissonant sounds. The main motifs for husband and wife both contain the notes of a theme first heard in the opening scene, when Wozzeck sings of his desperate situation – ‘Wir arme Leut’ (We poor people) – signifying that they are both victims of a larger injustice. The doctor, the one truly malign character, does everything in his power to accelerate his patient’s decline. He dominates the fourth scene of Act I, which takes the form of a Passacaglia. The theme is a row of twelve notes, representing the character’s ruthless rationality, and his urge to reduce humans to data. At one point, there is a quotation from Schoenberg’s Five Pieces for Orchestra, and one wonders if there is perhaps a little Schoenberg in the doctor. At his entrance, the bass line moves from A to E-flat (Es in German), Schoenberg’s initials. Wozzeck answers with B-flat (B) and A, spelling Berg’s initials. By the last scene of Act I, when the brutish Drum Major forces himself on Marie to the tune of dissonated C major chords and the strains of ‘We poor people’, the method of the opera is clear. Strongly dissonant writing suggests the cruelty of authority, the relentlessness of fate, and the power of economic oppression. Tonal elements represent basic emotions of love, lust, jealousy. It is a scheme that contradicts Schoenberg’s utopian notion that the new language could replace the old. Instead, Berg returns to the language of Mahler and Strauss, using the conflict of consonance and dissonance for intense expression. This opera (lasting barely a hundred minutes) is remarkable for the fact that each brief scene is based on a historical form: Suite, Passacaglia, Rondo, etc. Act II is a five movement symphony, and Wozzeck’s paranoia is developed like a classical theme in the opening Sonata Allegro. A sudden respite in the form of a C major chord once the maximum dissonance had been reached marks the moment where Wozzeck hands Marie the money he has earned for suffering the sadistic games of the Captain and the Doctor .It is the last display of uncomplicated tenderness between the two. The Scherzo of the ‘symphony’ is set in an inn full of drunken revelers, where a stage band plays a Mahlerian Ländler waltz, dissonantly distorted. Wozzeck’s humiliation reaches its height in the Rondo marziale, the last movement, when he unsuccessfully tries to find rest in a barracks full of atonally snoring soldiers. The Drum Major barges in, bragging of his conquest of Marie. Wozzeck whistles derisively at him, and is beaten to a pulp. At the beginning of Act III, Marie reads aloud from the Bible to her child, her mind swaying back and forth between the calm glow of Christian verities and the virus-like action of fear and guilt. A heart-stoppingly beautiful horn theme (An extract from a piano piece written during his studies with Schoenberg) is immediately scrubbed out by twelve-note pattern and other ‘difficult’ features. Upon Wozzeck’s entrance, the note B begins droning in various sections of orchestra, sometimes high, sometimes low. As the couple walks by a pond, Büchner’s writing here looks ahead to the Symbolist poetry of Wilde’s Salome; as if on cue, trumpets, horns, and violas play a transposition of Strauss’ Salome chord, hinting outlaw sexuality on the brink of destruction. As the timpani pound away at the fatal note, Wozzeck takes out his knife and kiss Marie suddenly and unceremoniously. There isn’t much commentary from the orchestra either. However, once he rushes from the scene, the orchestra re-enacts the death. The B returns on a muted horn, with an almost inaudible hum. Instrument after instrument joins in on same pitch, resulting in a super-bright beam of tone. Robert Cogan has demonstrated that this scoring creates an exceptionally rich mass of overtones with a chord of B major at its root. (Also listen to the end of James MacMillan’s The Confession of Isobel Gowdie for the same effect.) After a climactic dissonant chord with a shuddering death-rhythm on the bass drum, the crescendo begins again, now with percussion. The clean overtones give way to a toneless wash of noise. Like a film, the scene changes rapidly to a tavern, where an out-of-tune piano plays a rickety polka, employing the same rhythm just heard on the bass drum. Wozzeck, blood dripping from his hand, is accused by the locals, and rushes back to the pond to wash away the evidence. He sinks into the water as the orchestra plays rippling transpositions of a six-note chord. A moment later, the Captain and the Doctor walk by, marvelling at the stillness of the scene, as though studying a painting at a Secession exhibition. The best productions don’t make this opera cold and cynical, remembering to bring out the compassionate, human side. Instead of presenting Wozzeck as moron-turned-psychopath, and Marie as nothing more than a whore, good productions should remind us that they are essentially decent people, battered and manipulated by a brutal and exploitative social order. Now comes the masterstroke. At the end of the penultimate scene, the orchestra delivers a ‘wordless oration’. There is a palpable break in the musical language; Berg makes use of a piece he wrote back in 1908/09, a sketch for a Mahlerian Sonata in D Minor (Apparently inserted at Helene Nahowski’s request, whom Berg married 1911 and associated the Sonata with.) Dissonance stages a counterstrike; trombones deliver a stentorian ‘We poor people’, woodwinds mass together in a twelve-note chord, percussion replicate the terror of Marie’s murder. Finally the bass instruments pound out a rising fourth, and D minor comes crashing back in. Surely this is something more than a lament for two human beings, a tribute to the ‘worldwide festival of death’ (Thomas Mann) perhaps. The ending is breathtakingly bleak. Wozzeck and Marie’s child is riding his hobbyhorse, oblivious. The coda links up with the beginning, suggesting that this child will grow up to be a replica of his father. Within this despairing conclusion of an oscillating pair of chords, there are passing glimpses of G major, giving transitory glimmers of light. Compare this to the ending of Debussy’s Pelléas, where Mélisande dies within sight of her newborn baby. The audience is left to imagine the fate of these orphans of the fin de siècle; will they perpetuate the cycle or start anew? Will the War bring a fresh beginning, or will it just be history repeating itself? Carl-Johan Falkman, Chorus and Orchestra of the Royal Swedish Opera, Leif Segerstram. Naxos 8.660076-77. Franz Grundheber, Wiener Staatsopernchor, Wiener Philharmoniker, Claudio Abbado. DG 423 587-2.